It is almost sadistic to unveil a new 2017 model truck at an early 2015 auto show, but that is exactly what Ford did today — taking the wrappings off the Raptor F-150 which is more than a year a way. It was smart, too, since other manufacturers have been sniffing around since Ford stopped making new models of the highly popular vehicle. It had been the only mass-produced off-road full-size truck in the market. Others have created aftermarket versions, but none have come close to the hunk of plunder that the Raptor represents. 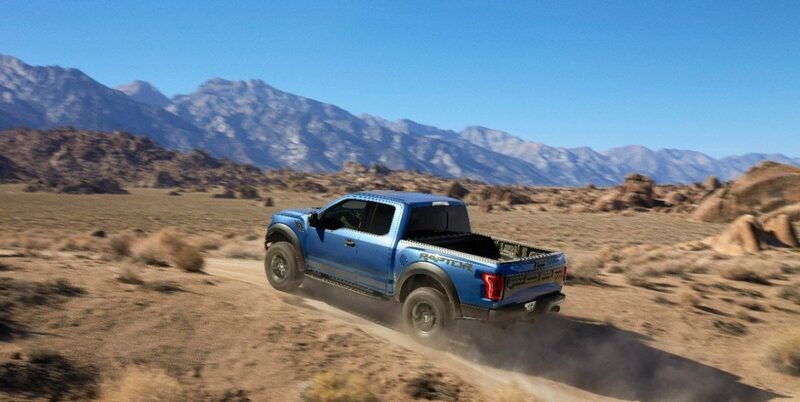 Perhaps Ford was figuring that it would win the North American Truck of the Year — which it did. Perhaps they were trying to show doubters that the all-aluminum body was as tough as they claimed. Perhaps it was about the fact that it was still as capable with more than 500 lbs. taken out while featuring more high strength steel than its predecessor. Whatever their thinking, this was a gutsy move. There are also calibration changes to the powertrain, drive line, traction control ABS and AdvanceTrac stability control. An available Torsen front differential increases off-road capability and the Raptor will come standard with new FOX Racing Shox designed to damp and stiffen suspension travel over rough terrain while helping to prevent bottoming out. Front and rear canisters will be 3″ in diameter — up from the current 2.5″ and will feature more suspension travel than today’s Raptor. There will also be advanced LED lighting and camera technology. 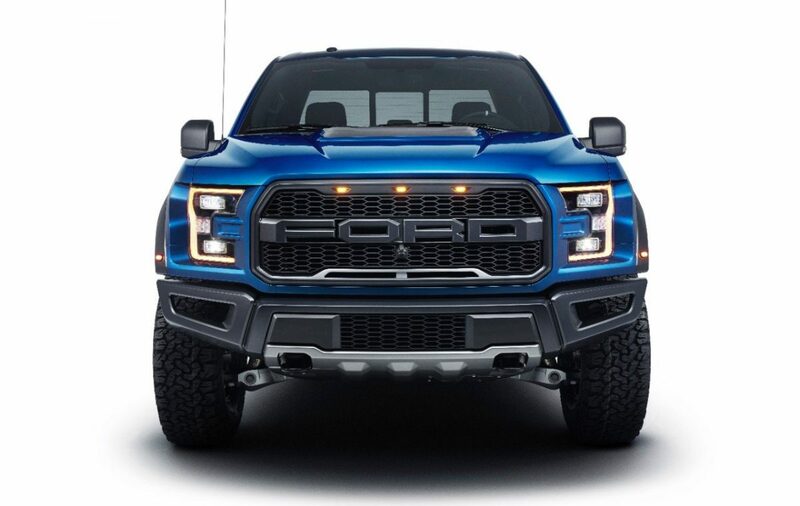 It is interesting to note that, while we certainly were not treated to all of the details, including technology and interior info, Ford provided more than some other truck makers did for their new 2016 models. That says to me that this truck has been in the works for a while and may even have been developed in tandem with the 2015 F-150. 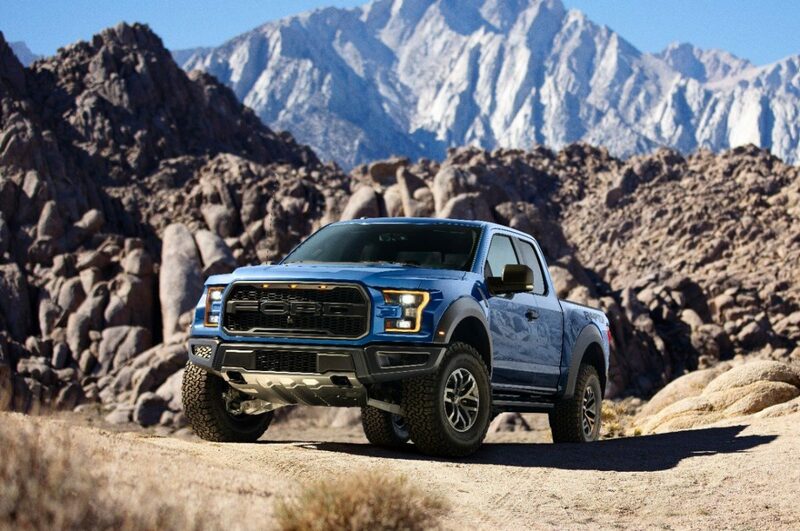 The 2017 Raptor, on sale in Fall of 2016, will be built at Ford’s Dearborn, MI, truck plant.